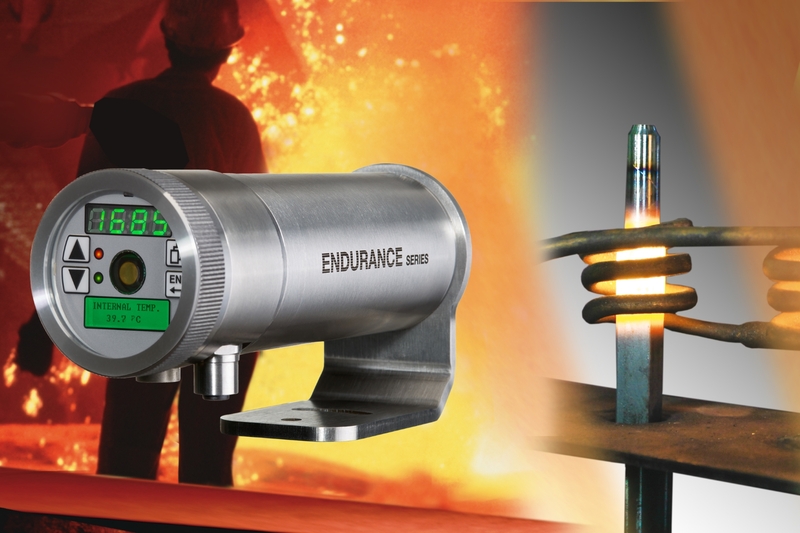 Geared at high-temperature applications, Fluke Process Instruments’ new Endurance series covers wide measured temperature ranges of +550°C to +1,800°C and +1,000°C to +3,200°C, respectively. The pyrometers feature a stainless steel IP65 housing and galvanically insulated I/Os. They can be operated in one- or two-colour (ratio pyrometer) mode. An optical resolution of up to 150:1 allows measurements of smaller objects from a distance. Designed for comfortable configuration and operation, the sensors feature an intuitive rear-panel user interface and a built-in web server for data archiving, traceability, and process troubleshooting. The range of sighting options has been extended to include a high-resolution on-board video camera for remote monitoring of the application and sensor alignment via Industrial Ethernet. In addition to laser sighting, which marks the position or size of the measurement spot, LED sighting projecting the actual spot size on the target is also available now. A dirty lens alarm signals when cleaning is necessary, saving time on regular maintenance. Accessories include an air-purge collar. The rugged sensors operate reliably at ambient temperatures up to +65°C or up to +315°C using cooling accessories. The manufacturer provides a best-in-class four-year warranty.